Whether your company is a primary lumber mill or a secondary wood products operation, with or without dry kilns, the Omega In-Line Moisture Measurement System should be your most important moisture measurement and analysis tool. Utilizing state of the art electromagnetic wave technology, the MC4000 Advanced In-Kiln System includes the most recent innovations for in-kiln moisture measurement. Scan even large boards from end to end in seconds with meters designed for the demanding environment of the sawmill or wood products manufacturing plant. Reach deep into stickered units of lumber with our L722 Stack Probe. At Wagner, we know how important it is for you to get the most out of your investment in our products. It’s important to us, too. When you partner with Wagner, we become a part of your team, offering world-class, long-term support tailored to meet your specific needs. Why Choose Wagner Moisture Measurement Solutions? Improve your grade recovery, along with your bottom line, when you use Wagner’s [Omega In-Line and MC4000 In-Kiln] moisture measurement systems, hand-held moisture meters, and sawmill sorting systems to lessen drying-related degrade. 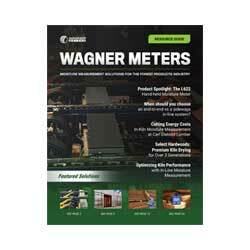 Wagner leads the forest products industry in innovation. Our decades of research have resulted in a number of leading-edge patents, which means you get the very latest in moisture measurement technology. Add over 50 years of combined experience in moisture measurement systems, moisture data analysis and technology to your team when you partner with Wagner. Our engineering and technical staff are committed to your success. Is that kiln charge ready to pull? You can make a better-informed decision with the MC4000 In-Kiln Moisture Measurement System. 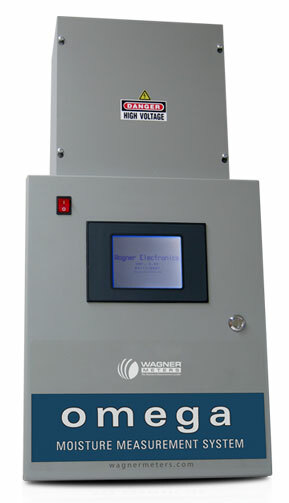 The MC4000 is the latest in Wagner’s revolutionary in-kiln moisture measurement system concepts. The MC4000 measures up to eight separate zones to give you the information you need. It functions well in kiln environments up to 300°F and offers an open architecture design, which allows integration with common kiln control systems. You can scan even large boards from end to end in seconds, using the rugged L600 Series of hand-held moisture meters. These meters are designed for the demanding environment of the sawmill or wood products manufacturing plant. Reach deep into stickered units of lumber with our L722 Stack Probe and take accurate moisture readings without the danger of broken pins.